As part of my new years resolutions I want to try to eat healthier, especially after my holiday chocolate binging (cliché, I know!). I'm not going to attempt any crazy diets but I'm trying to eat more fruits and veggies. Usually I'm a Junk Food Queen and I need to stop! I love apples, especially Royal Gala apples. 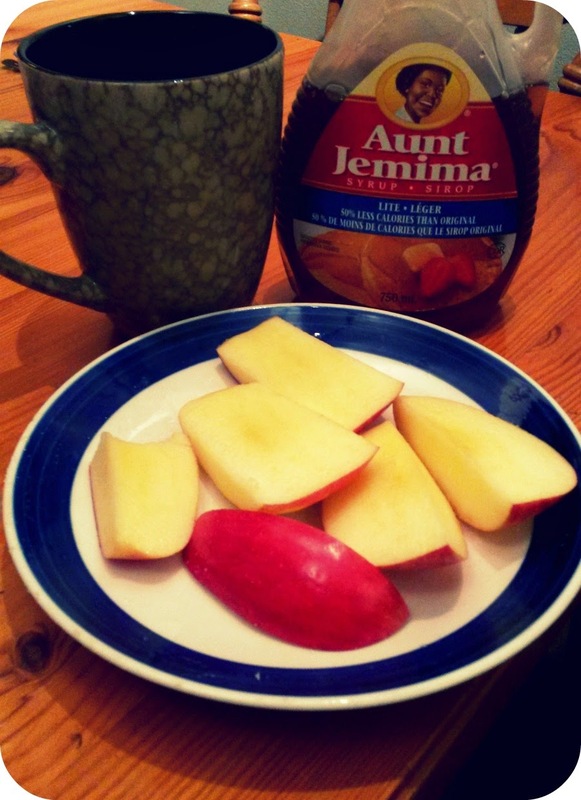 However sometimes a plain apple by itself is boring, so I like to add maple syrup to it :) I love the Aunt Jemina Lite Syrup because it's very low on calories (only 80 calories for three whole tablespoons!). A cup of coffee to go along with my snack is a must. I have never tried syrup and apples together! It sounds yummy. My favorite healthy snack is blueberries. yum!